Club Penguin Cheats by Mimo777 Club Penguin Cheats by Mimo777: Stormtroopers at Work: Phone Support! Trooper 1: Are you calling the pizza? Trooper 2: Yes, it's free since they had a 10 light year delay. 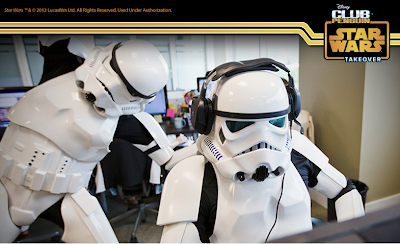 Stormtrooper 1: Dude, you listening to music? Stormtrooper 2: nope, i'm testing sounds for the club penguin star wars party!